Interested in Tracking Santa across the world on Christmas Eve? has games, a countdown to Christmas Eve when the tracking of Santa begins, information about Santa and the NORAD Santa tracking program, information about the team that funds the program. This seems like a program that would be fun for parents and kids on Christmas Eve. 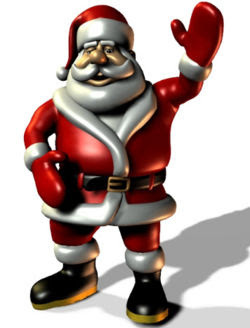 Get a tracking Santa Google gadget for your home page here. Thanks, Mary! We did this last year with my daughter, who is 9 now, and she loved it. She called her cousins and checked what they had on their computer. It was a nice way to bring in bedtime! Thanks Sandy and Sandee, I think it's a great idea for parents and kids!